What bankruptcy can do for you! Have you considered bankruptcy? If you have many debts which you cannot pay then it may be good idea to consider filing. If creditors are calling you 50 times a day and your credit score is shot then it might be time to consider it. If you have lost a job, or faced medical issues and debt, or retired with huge debts, or if the debts have just been building for many years then it might be time to consider it. (See here for additional reasons of why you should file for bankruptcy). Don’t just put off the filing bankruptcy because the problems and the debt won’t go away. The creditors will keep calling and will keep selling your debts to other collectors who will take the same actions. Eventually they will sue and get judgments which could result in your wages being taken or your bank account being taken or your house being liened and sold. Your credit score will never improve as long as you are in this cycle and you will have no peace. The good news is that bankruptcy can eliminate all of this negativity and give you a fresh start in life. You can get the creditor calls to stop immediately even before you file bankruptcy if you hire an attorney to represent you concerning your debts. The Fair Debt Collection Practices Act states that all calls must stop once you hire a lawyer and all of those calls must go to the lawyer. Once you file bankruptcy a “stay” descends upon you and everything you own. This stops any and all attempts to collect these debts. This would include any lawsuits that were filed against you as well as any garnishments or other collection efforts. Even some of the money taken by garnishment or attachment can be returned to you. Contact an attorney for this step. Once you receive your bankruptcy discharge then you are no longer legally liable for those debts and they are effectively extinguished. The former debts will appear on your credit report now as “discharged in bankruptcy” and they will no longer drive down your score each month. The bankruptcy itself will lower your credit score in the short-term but you can rebuild your score in the long-term. You will get new credit and use it wisely and rebuild your score that way. People have financed homes in as little as two years after a bankruptcy. So bankruptcy can do a lot for you to eliminate your debts and give you a fresh start but most of all it will give you piece of mind! Now what is that worth? I am a San Diego bankruptcy attorney. Please visit my websites for more help at www.farquharlaw.com or www.freshstartsandiego.com. Or call for a free consult on any bankruptcy or debt issue. at (619) 702-5015. Call now for a free credit report and analysis! If you or someone you know may need to file a bankruptcy then please get my FREE E-BOOK: “13 THINGS YOU SHOULD DO TO PREPARE FOR YOUR BANKRUPTCY FILING” by e-mailing me at farquharesq@yahoo.com. New bankruptcy law (AB 929) will likely allow you to keep more property in bankruptcy in California if it passes! AB 929 is a bill has passed the assembly and is now in the California senate and will be taken up by the Senate Appropriations committee soon. This bill is good news for all who file bankruptcy in the state of California because it increases the allowable exemptions in bankruptcy. Bankruptcy exemptions are the mechanisms that allow debtors to keep property in bankruptcy and they prevent the bankruptcy trustees from seizing those assets to pay debts. Of course the bankruptcy trustees are against this bill because it would mean that they get paid less because they are paid when they seize and sell property in bankruptcy for the benefit of creditors. The law establishes higher levels of exemptions for property like vehicles, jewelry, works of art, and tools of the trade (business equipment). These changes in the law will allow many more people to file for bankruptcy if they have a lot of personal property. Many of my clients before would lose property in a bankruptcy if they filed so they chose to not file. As a result of this law the number of bankruptcies is bound to go up in California. Most important of the exemption increases is the homestead exemption. That is the one that allows you to keep your house and the equity in it. The individual homestead exemption is set to go up from $75,000 to $150,000. The family exemption from $100,000 to $250,000, and the elderly/disabled/low-income will go up from $175,000 to $350,000. These increases are huge and mean a lot. Many of my clients who could not file before will now qualify for a Chapter 7 full discharge bankruptcy. This is great news if you have equity in a home and many people still do in California. These bankruptcy filers can now keep their home in a bankruptcy even if they have a great deal of equity. in their home. With the new loan restrictions instituted by the banks the equity is only on paper anyway. They cannot access it like they could 3 or 4 years ago because they would never get approved for an equity loan without perfect credit and perfect income. The reality is that if people have these things then they do not usually need bankruptcy. Most people who do consider bankruptcy have a large amount of unsecured credit card deb which they are usually behind paying on so their credit score is down. If they have lost a job or have had an illness or an auto repossessed then they are in even greater need of a bankruptcy but are extremely unlikely to secure an equity loan. So I would argue that this is good law that allows people top keep not only more of their personal belongings but also allows them to keep their house and still discharge their debts. Fewer people will therefore forced out of bankruptcy and into limbo where they can neither file nor pay their debts. It is a good day for bankruptcy filers. I am a practicing bankruptcy attorney in San Diego. You can visit my website at www.farquharlaw.com or www.freshstartsandiego.com. Or call my office for a free consultation at (619) 702-5015. Call now for free credit report and analysis! I receive payments from a trust. Can I keep those after a bankruptcy? Beware of this issue as this might prevent you from filing. If you have a trust and you receive regular disbursements from this trust then those disbursements are generally not treated as exempt beyond the allowable exemption amount. It would make sense that they would be treated like income but they are not. You have no problem receiving income in a bankruptcy as long as it does not exceed the means test limits. Trust payments are treated differently though and the bankruptcy trustee can and will take them. You can keep them as long as they don’t exceed wildcard exemption. In California the “wildcard” exemption is around $23,000 so you would keep every trust payment up until that limit was reached. Once the limit was reached the trustee could ask that all trust disbursements be paid to the bankruptcy estate until the debts are all paid. You would then lose them. This is an unacceptable situation for most people and one that will cause you extreme distress. If you receive trust payments then you want to consider carefully whether to file bankruptcy or not. There is one situation which can save you. If your trust has a “spendthrift clause” then it may save your disbursements. These clauses that are put in trusts when they are created prevent trusts from being attached or taken by any creditor. These clauses also work to prevent the bankruptcy trustee from taking your trust fund payments. If you have a spendthrift clause in your trust check with your trust attorney and give a copy of your trust to the bankruptcy attorney so he can see it himself and decide whether there your spendthrift clause looks good. It is very important not to file without this careful consideration of these trusts. I have seen cases where the trust payments were seized and a settlement of all of the debts had to be paid to the trustee before payments could resume. Of course you should probably not file for bankruptcy if your trust payments can be seized to pay your debts. A debt settlement option should then be considered. 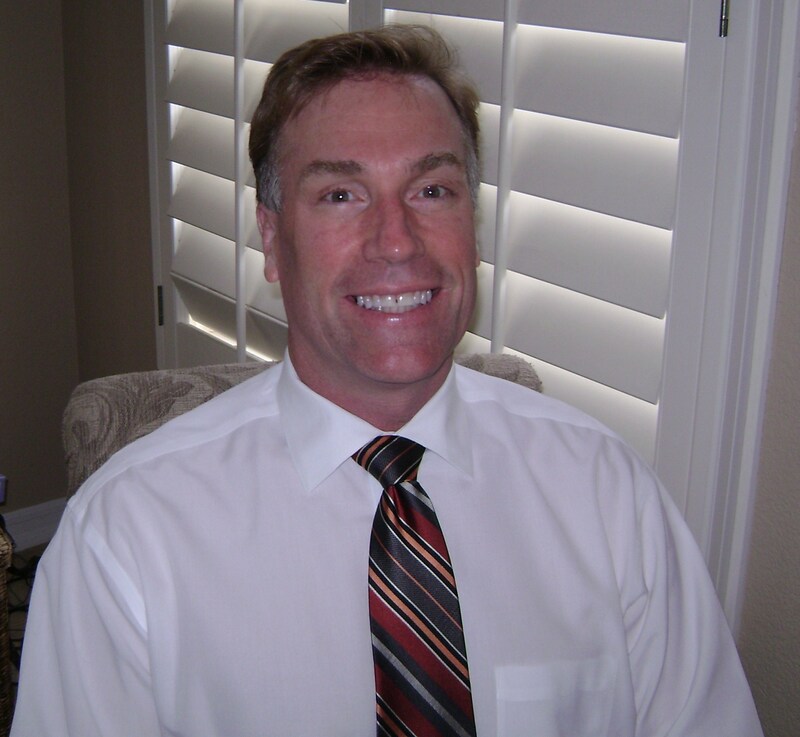 I am a bankruptcy lawyer practicing bankruptcy law in San Diego, CA. For more info. visit my website at www.farquharlaw.com. What can I do if I can’t file bankruptcy for some reason? That’s easy, we settle! (See my update on whether to use a debt settlement company or a bankruptcy attorney). Yes, we can settle your debts! Usually at a steep discount over what is owed. You may have already received letters from creditors offering these discounts if you have held this debt for some time. If a bankruptcy attorney calls the creditor and explains that you may file bankruptcy then you might even get a better settlement offer. If you can’t file bankruptcy that means usually that you have too much income or too much property to file. If your debts are fairly low then you may want to use that property or income to settle them. Some of my clients have gotten or are getting a large payout on a lawsuit or an inheritance of some kind and they then would have too much money to file. We then call the creditors and offer settlements and they are happy to get their money usually at a deep discount. This may not seem like an option for you but you would be surprised how often this happens. If you have some money or if you are due for a big payout in the future then it does not make sense to file for bankruptcy. If the trustee finds out then he can keep the case open until those funds come in. He will then use those funds to pay the debts in full if each creditor files a proof of claim and they usually do. Since you are bound by law to report to the trustee anything that could be considered property to the estate it just does not make sense to file bankruptcy in some circumstances. Some people just don’t want to file for bankruptcy. If this is the case then you can also settle your debts. The creditors will be happy to get paid. Settling is not as bad as you might think. A bankruptcy attorney has more clout and the threat of filing bankruptcy to use as leverage to get you a better deal. A bankruptcy attorney should offer this as a service for those who cannot file for bankruptcy. After settling these debts will be reported as “settled” on your credit report and in time your credit score will rise as these debts will no longer be reported as delinquent. I am a bankruptcy attorney practicing bankruptcy law in San Diego CA. Please visit my websites if you have more questions at www.farquharlaw.com or www.freshstartsandiego.com. Or call my office for a free consultation at (619) 702-5015. Call now for a free credit report and analysis!